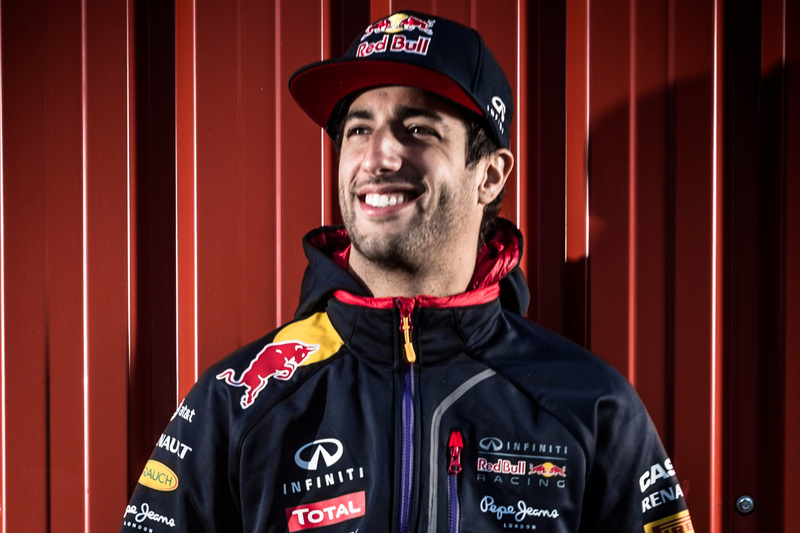 Daniel Ricciardo remained upbeat in Malaysia after a mixed bag Friday practice day in his Renault-powered RB11. Red Bull Racing and Renault had a disastrous weekend together in Australia, with an engine failure and an engine-derived gearbox failure undermining the team’s weekend. Both parties exchanged angry words: Red Bull used the power unit’s woeful performance to launch a scathing attack on the sport and threaten to quit, while Renault fired back its own salvo by discrediting the criticism of Adrian Newey as being from an “old man” who couldn’t change his ways. The unhappy pair used the intervening fortnight to mollify the tension, and the result is that Renault and Red Bull have reverted almost entirely to the power unit’s pre-season testing specification because that profile seemed to develop few significant problems during the off-season. Drivers Daniel Ricciardo and Daniil Kvyat both praised the change for instilling significantly more drivability into the previously unwieldy engine. The Australian in particular highlighted the nullifying of unpredictable engine behaviour allowed the team to refine its car. “We can start to focus on the chassis and on car development,” he said, after completing 23 laps. His day was far from trouble free, however, with the power unit still prone to devastating glitches. “We had a few issues in free practice two, which were a hindrance,” he conceded. “We were basically running on five cylinders for the majority of FP2. “I kept going out, coming in, making a few set-up changes, and going back out, but it didn’t quite solve it in the end. Red Bull will be able to draw solace from Daniil Kvyat’s comparatively trouble-free running, with 25 laps completed throughout the day. Moreover, the Russian locked down the fourth-fastest time of FP2, just half a second off Lewis Hamilton’s benchmark pace. “At least his one lap performance was good,” agreed Ricciardo. “I don’t know how he felt about the lap, but it looked competitive — leaving Mercedes out, they’ll always have a bit more in their pocket.